The paper considers a fluid model with a working vacation strategy, in which the working vacation period and the busy period appear alternately. When the fluid reaches the system, the net benefits is calculated based on the state of the buffer observed at this time, and then fluid determines whether to enter the buffer. In addition, according to the applicability of the model, the benefit utility function of this paper adopts the exponential form of sojourn time and average queue length. Based on the above conditions, the equilibrium strategies are discussed in both fully observable case and almost observable case considering fluid individual benefit and maximum social benefits per unit time. 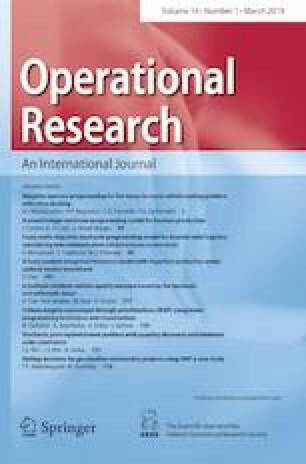 This paper attempts to make a reasonable proposal for individual and policy makers to realize the optimal benefit through the correlation analysis of the fluid queue model under the working vacation strategy. The authors would like to thank the anonymous referees for their useful comments and valuable suggestions to help us improve the quality of this paper. This work is supported by National Natural Science Foundation of China #11201408 and Natural Science Foundation of Hebei Province, China #A2013203148.